Lent doesn’t start for a few more weeks, but we’re giving you this packet early so you can plan and prepare. I’m convinced that there is a direct correlation between the level of devotion given to Lent with the joy experienced at Easter but all my “evidence” is anecdotal. Either way, you want those extra graces for your family so get ready for them now! Like all of our seasonal Activity Packets, the goal is probably not to do everything so much as to dive in and do something. No doubt, you already have family traditions to help you better celebrate Advent, Christmas, Lent, and Easter, but it’s our hope that you’ll find some new traditions here that will help you grow in holiness and keep your focus on Christ! 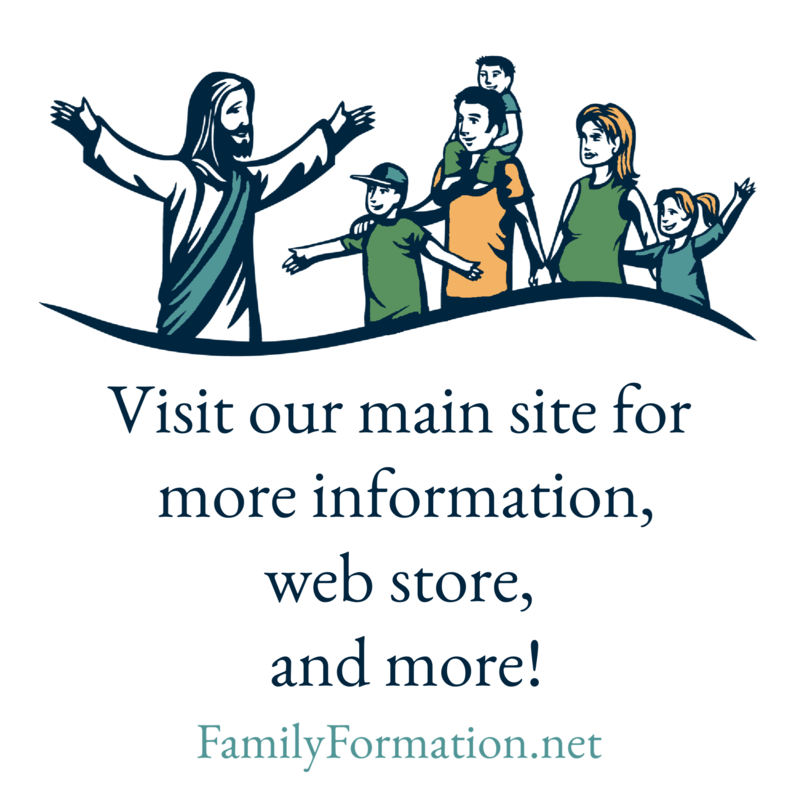 In this one, you’ll find two calendar options, Bury the Alleluia (a Family Formation favorite! ), instructions to build a setting for lots of Lenten and Easter imaginative play (well worth the time – especially if your kids are little), and a great version of the Stations of the Cross for Families. The Stations book features lots of beautiful illustrations and is in Spanish and English and it’s designed to be very family friendly with short meditations. We suggest you start by lighting 14 candles and have one of your willing helpers extinguish one after you read each station. By the end, you will all have a perfect illustration of what happened at the crucifixion of Christ, when the Light did indeed leave the world.